If you’re using an DSP for equalization or as crossover (or both), you might have a look at rePhase. This open source tools allows to create filters for all kinds of DSPs, both IIR[ref]infinite impulse response[/ref] and FIR[ref] finite impulse response[/ref] filters. We’re starting with some open source hardware projects now. 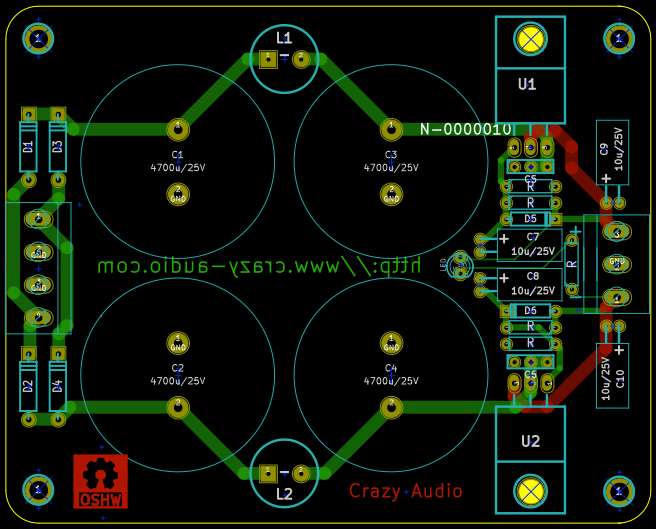 The first design is a 8x10cm PCB for a symmetrical power supply. It uses 4 capacitors with a 30mm diameter like the nice old Roedensteinthat we found lately. If the UniSieb/Shunt combination looks like overkill for you and the small SimplePower is too simple, this is the right option. The PCBs will be available in the shop later, but if you like to create your own or modify the design, just get it from the GitHub repository. This entry was posted in Uncategorized and tagged classicpower, diy, electronics, opensource, pcb, power supply on May 30, 2013 by Daniel. We have uploaded our code to control the QuadVol circuit with an Arduino to GitHub. This version displays the volume on a 16×2 LCD display. The volume offset for each channel can be set independently. It supports IR remotes now, but support for pushbuttons and rotary sensors will follow soon. Feel free to fork and modify the code if you like. 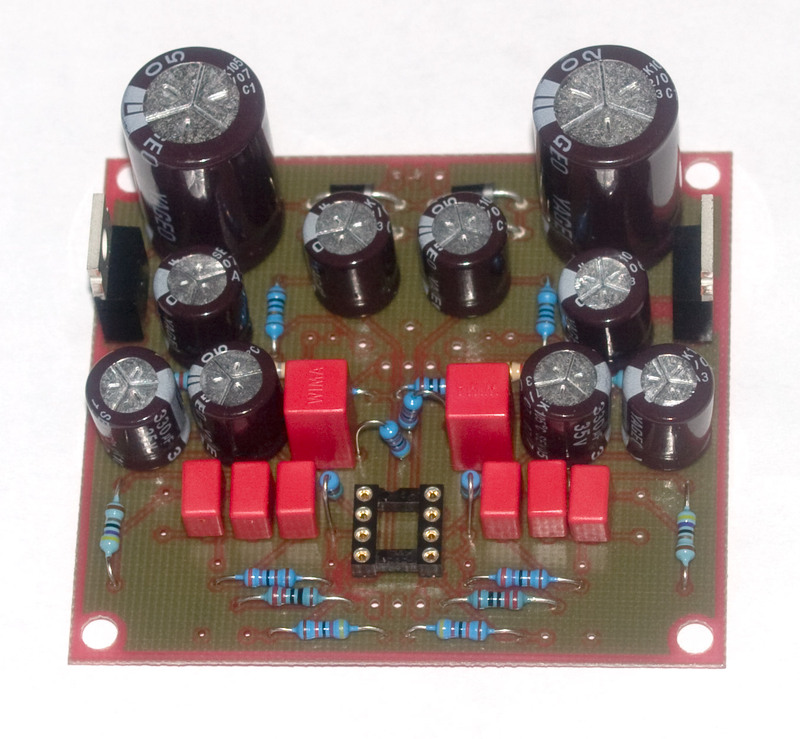 This entry was posted in Projects and tagged diy, opensource, volume control on May 20, 2013 by Daniel. Are you working with different PCB design tools? Or do you want to migrate from one PCB design software to another? Check out the PCB converter at https://github.com/upverter/schematic-file-converter. Unfortunately, this works only for circuit schematics but nor for board files. Does somebody know a solution to convert board files? This entry was posted in Software and tagged diy, electronics, opensource, pcb on March 26, 2013 by Daniel. Now also the VSPS and the additional Curl PrePre are available on circuits.io for non-commercial use. This entry was posted in Uncategorized and tagged circuits.io, diy, electronics, opensource, pcb, preamp, vinyl on February 24, 2013 by Daniel. The universal rectification and smoothing PCB is now available on circuits.io. You can order PCBs there or fork the design and use it in your own designs. 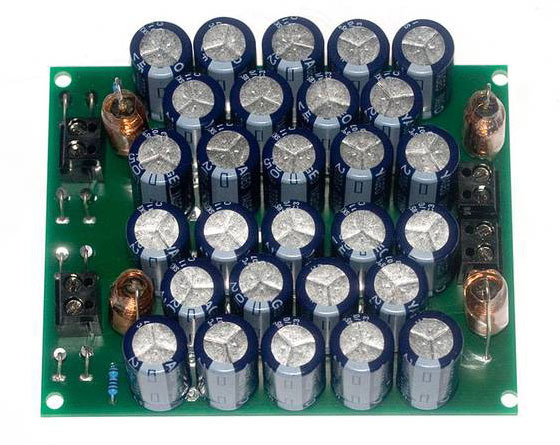 This entry was posted in Finished and tagged circuits.io, diy, opensource, pcb, power supply, rectification, voltage regulator on February 24, 2013 by Daniel.